for $765,000. This 30,059 square foot building was built in 1961. This dock-high duplex warehouse contains equal spaces of +- 15, 000 sf each with appropriate office space and overhead doors with dock high or ramp loading. Concrete structural beams and column framing with floating slab and masonry block walls with built up roof. Clear height of 22 feet. (3) rear former rail unloading doors, (1) front and (2) side OHD with ramp. Asphalt and concrete paving. Yards may have been stabilized in past. Not serviced by rail anymore. 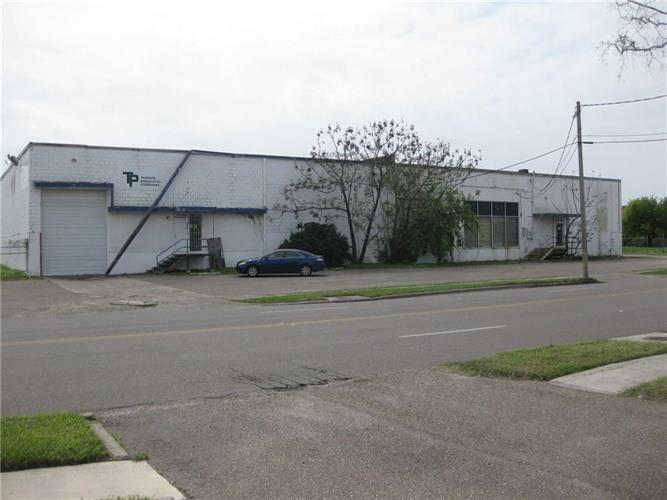 Excellent opportunity to rehab a duplex warehouse for owner/user or investor. Distribution warehouse or potential manufacturing facility. Very sturdy concrete building. Could be one large building for user or tenant. Located near Leopard Street and easily accessible to IH 37 and Crosstown/SPID roadways, petro chemical plants and Corpus Christi Port area and new bridge access. Property ready for rehab and leasing.